On Spiritual Law, Planet X and ZetaTalk. It is mostly true, that as respective constituents in any of our human cultures, we all use similar mental concepts as approved by the culture we have been raised in. How could this not be true? We all speak the same language, we all go to school learning the same curriculum, which changes slowly in concert with the cultural awareness. Within cultures, we even have religions pushing the same concepts, but differing on dates, interpretation and “sacred” text details. During our formative years, we all watched the same visual narratives and news broadcasts on TV and read the same books. This regimen was also reinforced by our parents or guardians and their friends extending outwards into the fabric of our community. We also know that early influences are the strongest in our lives. So when we are faced with an unusual mental challenge, we usually fall back to the same old feelings and opinions and use the same thoughts, ideas and mental constructs as building blocks to establish a way to move forward in a way that we are comfortable. This is the human condition, the inner human condition, unless of course we change it up. If you doubt this is true, then try this test: introduce a subject such as UFOs or Planet X in the company of your friends and observe the facial expressions, the body language and comments forthcoming. We quickly realize these topics are not welcome to those who strongly identify with their culture. Now these are not illegal or immoral subjects, they are just subjects that challenge the dominant societal opinions. None of these really want to think or talk about these particular topics because they are uncomfortable. Uncomfortable, as very few people want to be outside the box, seen as “different” or be labeled as crazy or delusional. Oh, for a short time, yes because it’s sometimes fun, but everyone has to go home eventually, so these little diversions are left behind so they can meld into the safety of the background familial or associative framework of society. So then, how are we going to understand extra-culture, extra-human or extra-terrestrial impingement-events without expanding our consciousness? Most of us know that after a certain number of years of living, that collisions of reality will come out-of-the-blue and hit us. A surprize shot load as we drift along in our lives like ducks on the pond of our hopes, desires and our preprogrammed thoughts and opinions. This is the way it is, as our ego-consciousness cannot sustain 100 % vigilance, but of course the totality of Life cannot be known anyway with the mental tools and the sensory apparatus afforded to the human body. Many of us still try though. We try to avoid the unpleasantness of waking up to a cherished dream going sideways, but we all have to face these things once and awhile. Yet who would want to endure the constant stress of such a way of life anyway? So most of us eventually resign ourselves to the fact that we can’t know everything that will happen beforehand and find a way to deal with the uncertainties of Life. Image a – Earth’s axial precession is a circle scribed on the heavens by the motion of the slightly off-center orientation of the Earth axes. Western science has calculated that it completes a cycle approximately every 26,000 years. Here is a LINK to an excellent 1 minute movie visually explaining axial precession. Also, if the image above is clicked, a 2 second animation will be seen (in a new browser window) that simulates 26,000 years of Earth rotation. Along comes Planet X and the Pole-Shift into our awareness. So we learn of this cyclic return of a dwarf star passing through our solar system every few thousand years that brings about a physical Pole-Shift. None too soon as far as I am concerned but why would anyone welcome a Pole-shift? That seems a crazy statement, and who in their right mind would want their comfortable life to be wiped away in a few hours? Let me explain… There is no way on God’s green Earth that the elite will give up control of this planet and no way we can wrest control from their hands either. Same with the big corporation. Same with the banking industry. Same with the control of the spiritual deviants sitting in incumbency within governmental elected office who are taking advantage of the unspoken creed of public Usury. No, this is not negativism or apathy or spiritual-disinformation and neither is this a: “Let us hold hands and imagine a better Earth”, read: “I wish-away my problems with these other people”. Earth has a bright future, but it’s not going to come about via a cultural uprising, or by a set of coerced-by-the-populace governmental edicts. Neither will human society be raised up by an angel descending from the sky or by a UFO mothership alighting on the White House lawn. Real change happens, notwithstanding. It is the destiny of Earth to be a home for good souls because it is the way of things in the grand scheme of Reality. All else that speaks of doom and destruction of Earth, save the destruction of the entire construct of the inner and outer manifestations of the human ego, is a projection of the ignorance of our spiritual heritage. Let’s face it, humanity is a slave to the elite via the corporation, banks and to run-away governments. To a very small minority within humankind, paying rent, a mortgage or even working for a living is an abstract thought. The world is their oyster. Personally, I have no problem with this, but we are far past the point of no return to the pipe dream of having healthy democracies and a semi-altruistic capitalist economic trade structure, we are virtually now in the final run-down phase. What phase is this? Earth is approaching the end of the Kali-Yuga, the darkest of all the Yuga cycles and the last of the four before ascending again. The four Yugas of Hindu doctrine: Satya, Treta, Dvapara and the Kali span many thousands of years. They begin with the “golden age” of the Satya and slowly descend from the influence of selflessness to the reign of selfishness, the Kali Yuga. The kali Yuga is calculated by some to come an end in 2025 CE. So there is more than an interesting coincidence with the end of the Kali Yuga and the Pole-Shift at hand. 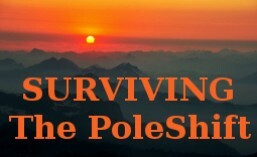 Now Enter the Pole-Shift; the Pole-shift will wipe-away all our outward societal structures, leaving the survivors to homestead in natural communities common just a few centuries ago. In this After-Time, we all will have a fresh new opportunity to support our own lives and that of our families in a naturally grounded way. Image b – Click on Image a (1st image in this article) to watch a 2 second animated GIF to see the circle scribed in the heavens by Earth’s axial precession. Now imagine that this image (b) overlays that circle. This image (b) roughly expresses the Hindu Yuga Doctrine and aligns well with Earth’s axial precession as described by astronomical science. Half way through the Satya Yuga is the completion of one grand cycle. We are currently completing the worst of all Yugas and about to ascend into the Dwapara Yuga, otherwise known as the “Age of Aquarius”. 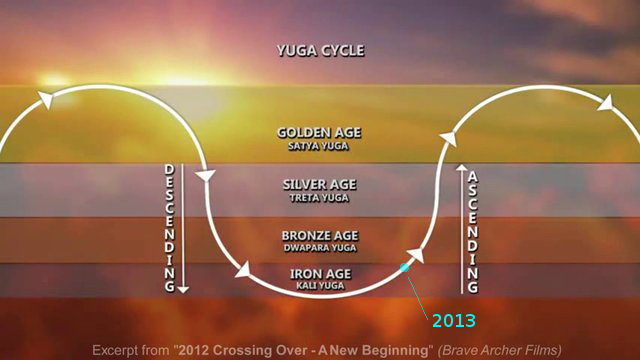 Image c – Finally, this gives us an analogue view to help visualize the Yuga cycles. The direction of the arrows follows the direction seen in the gif animation in image a. This “direction” is a wonderful connection between the revolving of Earth on her axes and the spiritual ebb and flow of Life on Earth. Earth is a schoolhouse for Soul. The rules here are harsh, but obviously necessary. One of the dominant rules we live under is the uncertainty rule. Living with uncertainty forces us (eventually) to rely on our own wits and the full gamut of personality to struggle along establishing grounded and informed opinions, a sustainable lifestyle and strength of character. This is what will enable us to complete our chosen life tasks over our very many lifetimes. Even more important than even this, is to reach the high plateau Love for our fellow humans. If we die mid-life-stream on this plateau, all else does not matter, it is the reaching of this pinnacle that is the ultimate goal of Soul. But of course, we have many other goals, both to come and pre-chosen of a minor nature that may seem like stones on the pathway, yet are eventually transmuted into Soul’s cobblestone road to a higher consciousness. Still, often in reaching a particular goal, we may lose sight, as John Lennon once said: “Life is what happens when you are busy making other plans.” So we muddle along as best we can, with the help from our unseen spiritual assistants. Our spiritual guides do have to work within a framework of laws, a set of rules that can, but not necessarily, be altered according to our situation and our state of dynamic spiritual development. The higher the development, or the higher the purpose at hand, the greater the elbow room and possibility of exemption from the rule. This brings us to another rule that is even more important than the rule of uncertainty, this is the rule that I call: the higher priority of spiritual intent. This higher priority master rule, determined real time by the spiritual hierarchy, can reorder the value/importance of any circumstance/conditions below it making it fall into accord with a higher spiritual importance and thus supercede any other rule, law or conditions at the time. Usually it will complement the downgraded other. This is applied individually or collectively to a group. There are no apologies of course, but there is always a kind of silent compensation. It could be rephrased as a spiritual “Means to an end” where the end is already known, which is why the reordering is allowed in the first place. To explain: we incarnate on Earth with jobs to do, tough-to-do jobs like paying off karma or learning forgiveness of those who have abused us (or “pay back” those we have abused) in other lifetimes. We have many life goals, and if we examine our lives we can identify them. Struggling with alcohol addiction or family relationships? Perhaps we are blaming some aspect of the world for our ills? How about control or obsession issues? The field is as wide as the human condition. We make agreements before incarnation to attend to our spiritual discrepancies, but some Soul-needs or goals are more important that others. In some cases our success in achievements with the smaller agreements is often green flags to move us along the path to achieving other larger goals. But Life on 3D Earth is dynamic and can change direction according to our choices of the moment. We can skip ahead with a critical act of selflessness or fall back in an instant with a selfish act. A single instant can have us accessing a greater spiritual priority according to our unique spiritual needs or development. In other words, our lives are not linear, they are constantly dynamic and have parallel and potent possibilities. We do have the dam of overall Soul development that can earn us certain checks and balances, however. So it is this esoteric greater priority of spiritual intent that I believe is the most overall dominant in all earthy affairs. But why is this rule important for us to be aware of now? As I’ve said, along comes our awareness of Planet X and the impending Pole-Shift. The majority of us know about Planet X today because of ZetaTalk. It is clear that the Pole-Shift has been prophesied in many other times by many other people and in many other forms long before ZetaTalk showed on the scene. But we still owe ZetaTalk exemplary credit for it’s extensive and accurate detail and ongoing exposure of current earth changes and political Pole-shift goings-on; most certainly by far the best source for a study on Planet X and the Pole-Shift today. But ZetaTalk is not exempt from the rules of uncertainty and the greater priority of spiritual intent, but far more that that, it is supra-responsible because of it’s influence over many millions, even billions, of people due it’s readership. What readership could bring about this ultra-importance? The general public readership? Yes, but even more important is the readership of the wealthy elite and the leaders of the countries with the highly influential international agencies like the U.S., Russia, England, France, Australia and Germany, for some examples. This means that the ZetaTalk source, the Zetas of ZetaTalk, absolutely must comply with the uncertainty rule and the greater priority rule of spiritual intent which finally is the main point of this article. I believe that to get the best out of something, keeping it at arm’s length is a fairly sound plan. That is to say, do we so immerse ourselves in something so that we only think only in those terms? It’s like the first years of a university graduate applying classroom knowledge: oops, the learned theories do not always apply. The graduate also learns that there are different approaches to the same subject, not just the ones used in campus lecture halls. From my perspective, any source of knowledge is colored by the host. The seminal truth about all bodies of knowledge, is that the student, the neophyte or the researcher cannot learn all about any one subject from a single source and this includes ZetaTalk. But it’s not from a lack of intent by the Zetas, it’s because of the limitations the host and the impossible to contain immensity of the Planet X subject. The Zetas of ZetaTalk revealed their obedience to the greater priority of spiritual intent with the famous May 15th 2003 announcement of the Pole-shift date. Most of us who have studied the ZetaTalk works learned that this was done to “show the hand” of George W. Bush in Iraq. Because of this, many people including the creator of ZetaTalk Nancy Lieder, were caught in what is now know as the “white lie” and bet all in preparation for the Pole-Shift at that time. This leap of faith, no doubt left them unhappy and well-positioned for the Pole-Shift, but 10 years or more ahead of time? Additionally, sometime in 2010 the Zetas were saying that the Pole-Shift would occur before 2012. It didn’t, obviously. What was the purpose of that? We don’t know yet, but I do believe this was another example of a higher spiritual priority move by the Zetas. Now if you ask the current ZetaTalk host for an explanation for the “Pole-shift by 2012 lie”, you will be removed from membership within the host website: this is a good example of how the host is coloured. 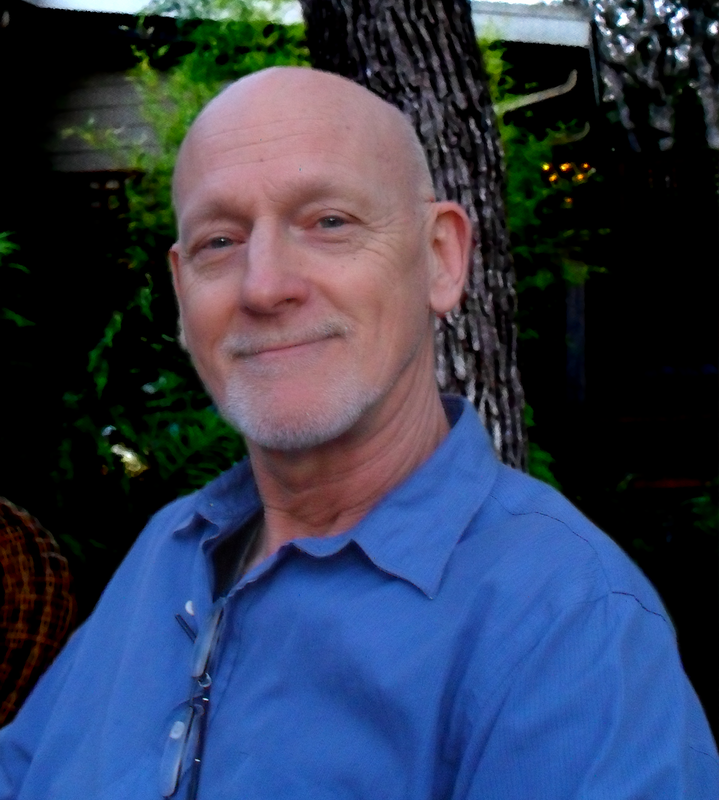 Real selfless Zeta – affectionately called “Skinny Bob”. 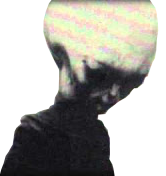 According to ZetaTalk, Skinny Bob was the lone survivor of the Roswell crash. So the Zetas of ZetaTalk are bound by the law of the highest priority of spiritual intent, but why is this important and what has this to do with you, the reader? The Zetas have often said that we all have to make our own minds up about the Pole-shift; that we are the captains of our own life and must take responsibility for our own Pole-Shift preparations — follow our own Pole-Shift Star, as-it-were. This makes sense and no one wants to be duped by some new “white lie” either, so it behooves us to keep the highest priority rule of spiritual intent in mind when reading ZetaTalk. Now, the ZetaTalk Zetas always have the best interests of Earth and humankind in mind as a whole, let’s be clear about that. Consequently, the Zetas are directed by a higher spiritual authority. However, the Zetas do use ZetaTalk as not just a Planet X and Pole-Shift reporting source for humankind, but also as a tool for higher purposes that may, or may not, include your personal best interests at the time. We use ZetaTalk as our main information source to keep us informed about the pre-Pole-shift state of Earth and the progress of Planet X, but we are not loyal to ZetaTalk, its just an information source. We have the ZetaTalk geological event-flags to watch for, but we also need to watch our own inner skies: an observation of our intuition and dreams, for they are personal to us and have only our welfare in mind. Truth be known, is that the coming Pole-Shift is a cosmic experience and not just the result of a passing dwarf star having an effect on Earth and her inhabitants. A cosmic experience, as we are all intimately linked to the physical Universe and beyond into all the higher dimensions, in all ways not possible to understand with our ego-mind. There is a cosmic mind guiding our lives whether we know it or not, just as any mother or father watches over their child as it takes it’s first foray on foot into the back yard. The Pole-Shift is a complete cosmic experience because everyone is involved both on Earth and in heavens. Those in the heavens take an intense personal interest in us, their charges below, so its important to at least make an attempt to understand this to fully appreciate the full depth of what is really happening. The Passing of Planet X and the Pole-Shift is just what is happening on the surface. The entirety of the cosmos has it’s guiding hands on these events for those they love on Earth, and the Zetas of ZetaTalk are part of that. As the Pole-Shift gets closer, especially in the months before, those walking aware will see and feel the hand of this guidance in their affairs. Even those in denial or in fear will be assisted in ways they are not likely to know while living on Earth, still the majority of assistance offered is only to those who are oriented to Spirit. Finally, the point is to not fear the Pole-shift or Planet X, but to welcome it with the proverbial open mind and open arms. This entry was posted in Opinion Pieces and tagged 2012, After-Time, biblical prophesies, chris thomas, Hindu Yuga doctrine, nancy lieder, planet x, pole shift, prophesies, spiritual poleshift, zeta talk, zetas, zetas of zetatalk, Zetatalk, zetatalk prophesies, zetatalk white lie. Bookmark the permalink. ← The Pole-Shift: When Will It Happen?